Tempered glass strong and enduring, anti-shock and shatterproof,make the activity enjoyable. 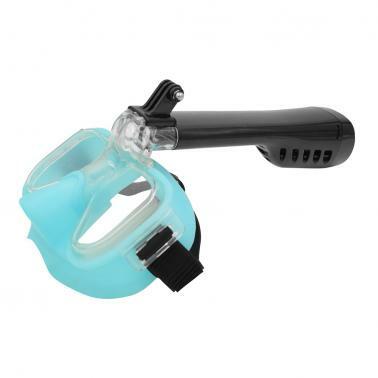 Silicone mask for maximum comfort and durability. 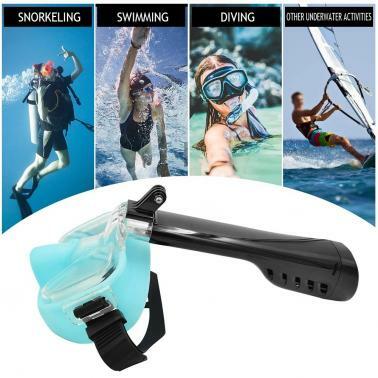 Dry top snorkel keeps water out when submerged. 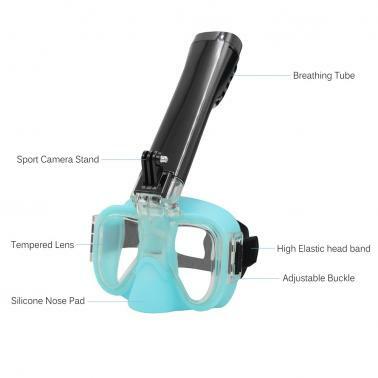 Specially sport camera stand design allow the camera totally submerged in water to record. Adjustable head straps and a high-grade soft silicon face skirt fit virtually any face shape. 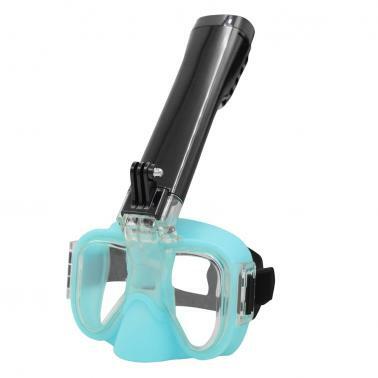 Perfect for swimming, diving, snorkeling or other underwater activities.